Dress features cap sleeves, zipper back, lace in front and back panels of the blouse. Full feather skirt. 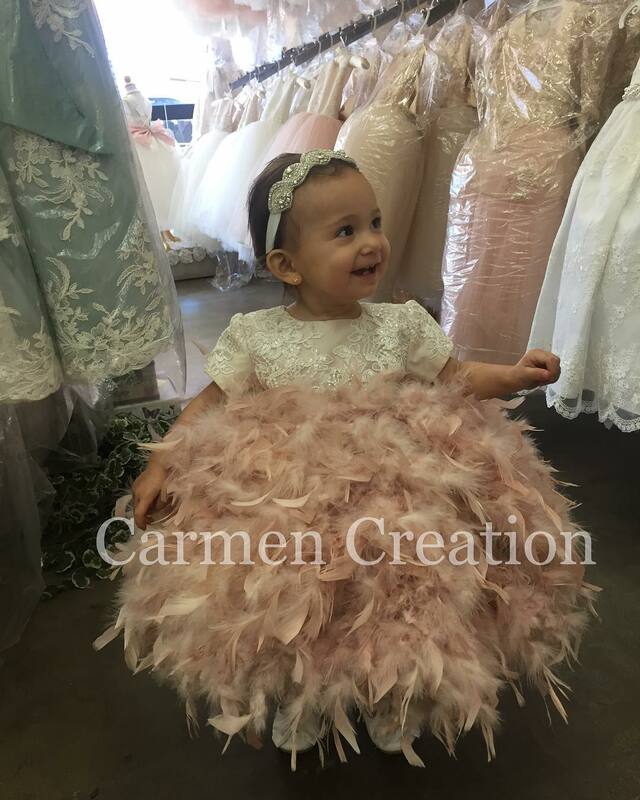 Made from chantue, super soft tulle hand dyed feathers. Dress is fully lined for comfort.